How does Solstice East help Teens with Depression? 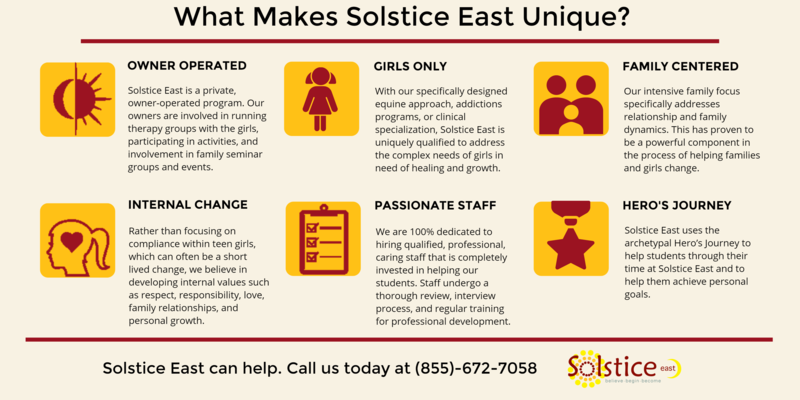 Solstice East is a groundbreaking treatment center that guides teenage girls through the healing process of diagnosed depression. Our approach is holistic and progressive. Solstice East always puts the student’s best interests at the heart of our programs. We know that no two students are alike, that’s why our treatments are specialized for each individual. Our main goal is for teenagers to feel accepted and welcome. Developing a sense of trust and familiar relationships allows for students to be open to various therapy options. Once trust is established, Solstice East can assess the student and determine which type of depression treatment is best for her. Our most unique approach for treating depression in teenagers is Milieu Therapy. This type of therapy sets Solstice East apart from other facilities because it focuses on a true reality-based therapeutic approach. 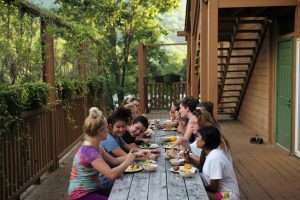 Teens connect socially with a multitude of groups within our facility. Creating an everyday lifestyle therapy approach allows our students to gain insight into themselves and others around them. What are the Causes of Teenage Depression? The causes of teenage depression are a vast and ever-growing concern among industry professionals. Approximately 11% of youth will experience depression, and these episodes are associated with downstream negative consequences later in adolescence (academic difficulties, risky behavior engagement, self-injury) and adulthood (lower income levels, higher divorce rates, suicidality). The exact causes of teenage depression are unknown, but particular associations have been pegged as major contributing factors to teenage depression. Five major issues cause depression in teenagers: Abnormal or impaired biological functioning within the brain’s neurotransmitters, a teenager experiencing a hormonal imbalance, genetically inherited traits, early childhood traumatic events, and a frequent pattern of consistent negative thinking. All of these factors act as both probable causes and triggers of depression in teenagers. Teenage depression facts are immense, and many environmental factors are contributors. However, prevention is possible by spotting risk factors early and seeking proper help. If you fear that your daughter is going down the wrong path in life due to the emotional and behavioral challenges they are struggling with, it may be best to get help now before their situation becomes even worse. Solstice East helps steer young women down a happier, brighter path in life. 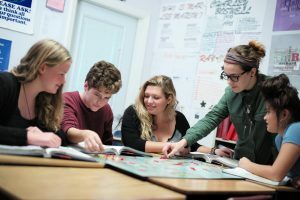 With college-preparatory academics and individualized therapeutic programming, we help change lives and help teens and families plan for a successful future. Gender-specific programming: At Solstice East, we have designed our culture and programming around a girl-only approach. Everything from our equine therapy programming to the clinical specialization of our therapists is specifically geared towards addressing the complex needs of teen girls. Family centered approach: The most important relationship in your daughterâs life is the one she has with her family. Solstice East has an intensive family therapy focus which includes weekly family therapy sessions, quarterly family seminars, and multi-family groups. Lasting change can only occur if the entire family is on board in the therapeutic process. If left untreated, depression in teenagers can lead to serious and grave consequences. The most common and well-known form of treatment is therapy. There are numerous therapy options available. 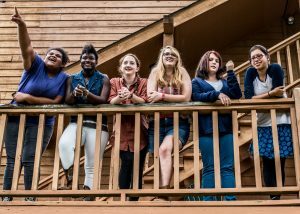 Solstice East takes a therapeutic-based approach in treating teenage depression. Our first goal is gaining trust and building a relationship with the patient. Typical treatment of depression in teenagers includes behavior-based therapy with a combination of prescribed medications. However, seeking help is the first and greatest step a teenager can take on her road to recovery. An important aspect of programming at Solstice East is our equine therapy program. Equine therapy helps students build emotional regulation, self-awareness, mindfulness, and communication skills. Relationships. Many troubled teens struggle to develop healthy, strong relationships with friends and family members. Therapy with horses allows teens to develop a healthy relationship with a living thing, giving them the chance to take the first step towards understanding how to nurture and maintain relationships. Stress and Anxiety Relief. This isn’t just in equine, but also in therapy with other animals as well. Animals have a way of calming us down and smoothly our nerves over. Equine therapy has also been shown to actually relieve physical ailments associated with mood or anxiety disorders, such as headaches, dizziness, or nausea. Self-Reflection. One of the things that troubled teens struggle most with is self-reflection. This ability is needed in order to move through life in a satisfying and successful way. By working with horses, teens see the direct effects of their actions which gives them the opportunity to understand natural consequences. NAMI The National Alliance on Mental Illness describes itself as a grassroots approach to improving mental health awareness. An organization that started small, the National Alliance on Mental Illness has now grown to become one of the best-recognized mental health organizations in the nation with branches all across the United States. NIMH A lead federal agency on mental health research, the National Institute of Mental Health is part of the National Institutes of Health the largest biomedical research agency in the world. The ultimate goal of the National Institute of Mental Health is the complete eradication of mental illness from the world.